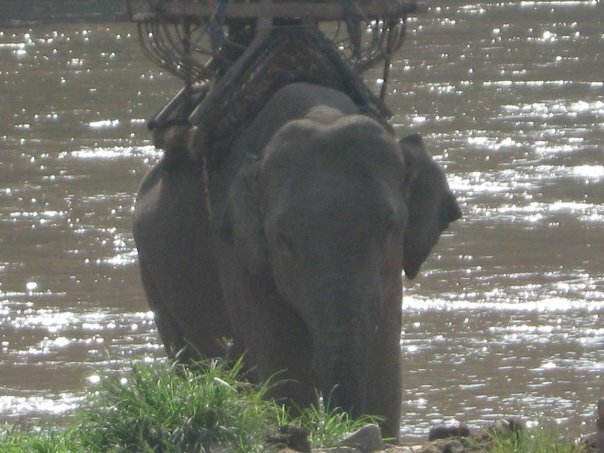 I rode this elephant in Burma (Myanmar) Yep. I did. So it’s very possible I’ve been watching too many Modern Family episodes. One of my favorites is when Cam calls his drink a Drink-a-doodle doo. I say that now. Apparently, it’s carrying over to my post titles. Whatayagonnado? I want to say thanks so much to Cathy over at Thoughts on Books for tagging me! Whoop! Go check her blog out. Click the red letters. RED LETTERS. Here’s the deal: I have to tell 11 random things about me, which I’m not since I already have 10 random things about me on another page (side bar) but…I’ll post 1 random thing, yah know in honor of following the rules. Then I have to answer 11 questions and make up 11 new questions for the people I tag. Everyone take a breath with me. Would you rather go for a run or a walk? Walk. I think better and day-dream better. When I’m running, I’m just focused on surviving. I LOVE movies, so that’s a tough one. Right now, Lindsay Harrel and Melissa Tagg are screaming, JAWS! She loves JAWS! But that’s not my favorite. I love too many to have a favorite, but I’ll tell you I’ve seen Underworld: Rise of the Lichens at least 50 times! LOL…And I’ve seen CLUE 50 X 50 times. I just don’t know! Unfortunately. Let’s leave it at that. What book in the Bible has moved you the most? Song of Solomon hands down. HANDS. DOWN. Changed my life with Jesus. In a way that moves me to speak about it. All my friends are screaming, “Sandwiches and soup!” They’d be right. I love a hot Turkey club on wheat and a bowl of veggie soup…or potato. LOVE. If you could go back in time to live, what period would you choose and why? Well, I’m not good with dates, so it’s hard for me to say a year because even when I’m reading historicals, sometimes I have to flip to the front again to remember what era I’m in. And I can’t tell you any of those years after the book is done. I remember periods by Cowboys and Indians, during slavery, during the war with Germany…or right after, when they wore flapper dresses, victorian–but I’m not sure how long that era lasted and it doesn’t matter I won’t remember if you tell me, Little House times, Dowton Abbey and Gosford Park times, and Biblical times. Do you enjoy watching sports? If so whats your favorite? “Then I’m appalled.” I thought that was funny. I hate sports. I write while my hubby glues himself to football and baseball. Works for us. I like the country. It’s gorgeous but the truth is, it’s overrun with critters and mice and I’d prefer those things to stay outside my house and pantry. But not the city like New York, because crowds and rushing brings out my pre-saved self. It’s ugly. Real ugly. I love all sorts of music, but I tend to gravitate towards haunting contemporary music with an acoustic and piano in the background (it’s the Jesse Patch genre), or usually the last song of every Vampire Diaries because I download them all on iTunes! Great for imagining scenes. Mountains are pretty but once you’re up them, what’s there to do but get altitude sickness, see some wildlife, and come back down? Beach. What author has influenced you the most in your christian walk and why? Beth Moore because her Bible studies are amazing. When I want deep intimacy, I read Spurgeon. I’m a huge fan of Bob Roe but he only wrote 2 studies before he died. When I found out he was in heaven, I cried. I’m selfish like that. And I love Tozer and R.C. Sproul. That’s more than one, but it is what it is. Oh wait! Jerry Bridges. Not the actor, that’s Jeff. 1. Chocolate or Vanilla and why? 2. Have you ever shoplifted? Ever thought about it? 3. Colored polish or French manicure? 4. Where’s the last place on earth you’d want to visit and why? 6. How many licks do you think it really does take to get to the center of a Tootsie Roll Pop? 8. Which celebrity that is alive (there is no Jesus loop-hole here, people) would you like to meet and why? 9. Do you have a smart phone? Can you live without it? Be honest…okay you can. Would you want to? Be honest. 10. If you could be any animal which one would you be and why? 11. Home cooked or 5 star meal? Hap, Hap, Happy Friday! If you can’t play the game, answer one or more of the questions in the comments! The world did what it thought was right in its own eyes. Brothers fought brothers, innocent lives were slaughtered and given to demons. Orphans’ bellies swelled with hunger, but blind eyes were turned. Widows starved in their homes while young women took men who did not belong to them to their bed. Greed, lust, hunger for power dripped like honey from the lips of men. Lies and deceit fueled the people. Dead men living in desolate places, groping as if they had no eyes to see light–only walking in darkness. Those who attempted to depart from the great evil became prey. Justice and righteousness disappeared like vapor. No one to help the people, to intercede for them. And it displeased the Lord. Jealousy for His beloved moved Him to action. He would bring salvation by His own arm. His put on righteousness as a breastplate, and a helmet of salvation on His head; He put on the garments of vengeance for clothing, and was clad with zeal as a cloak. Bringing fury to His enemies. To redeem. To send the enemy to flight when he comes in like a flood. He came and was rejected by His own people, who mocked His helmet of salvation by crowning Him with thorns, ignoring His cloak of vengeance that He wanted to use to avenge them and covering him with cloak of purple to demean Him. They stripped His torso naked; they did not care He came in righteousness. Yet compassion and joy pressed Him on and He allowed them to take His life. When His blood and water flowed, they were freed. All were freed. Truth would not fail again. Law was banished. Under a new covenant. In blood. At a cross. It’s no secret that when Paul watched the soldiers guarding him, he remembered the prophecy in Isaiah. He would know the scriptures well. He may have sat against the cold, dirty walls of the prison and studied those men as the Spirit of God showed Him a picture to use in teaching us. Today. Put on the whole armor of God. Except there is no cloak in the armor of God. Because vengeance belongs to the Lord. He wore them first. He’s giving them to us. A gift to help us. The world hasn’t changed. It’s still a place where man does right in his own eyes, where greed and lust propel men to do evil. But we are not under the law. We have the Spirit of God in us to guide us. We have nothing to fear. And the enemy knows this. He’s still coughing up dust from having his face shoved in the ground when Jesus won the battle. The mind is an amazing creation. What it can do is a miracle. That’s why it’s so important to guard it. The enemy loves to mess with it. One stray thought can become a fixation, messing with our emotions–our innermost parts. Paul not only tells us to take the helmet of salvation, a free gift giving you liberty, but to also take the sword of the spirit. The Bible–the Word. When the enemy comes in like a flood (from the prophecy in Isaiah) the Spirit of God sets Him to flight (raises a standard–that’s what the word standard means). Resist the devil and he will flee. When the enemy tempted Jesus in the desert for 40 days, Jesus fought with the Word. With the sword. I have a hard time with numbers. Phone numbers, SS#, dates. It’s ridiculous and as I was trying to memorize scripture, I became frustrated because I couldn’t remember the references. I sat outside on my patio morning in tears and said something like, “How can I fight when I can’t even learn!” I will never forget what happened next. My heart sped up, my eyes swam with tears as Jesus unlocked my fears and doubt and encouraged me. This wasn’t license not to work hard and learn the references. We should and I have. We may need to give them to another person at some point. Sometimes, I forget, but I know when the enemy attacks my mind, the Spirit brings the Word to my mind. God says…. You see, I scared him. I was learning how to fight. Memorizing scripture and meditating on it. Letting it become real in my life, not just rehearsed words to a play. The only way to stop me was to make me believe if I didn’t know the numbers/references, it wasn’t valid. A forfeit in the fight. Protect the mind. We’re saved–by grace. Under the blood. The past is drenched in it. Our future swims in it. We have the promise of forever with the Lover of our soul. Pick up the sword and use it. Remember to practice with it. Take it out daily and use it. Get the feel of it in your hands. Improve your craft of wielding it. When war comes, you want to know how to use your only weapon. It’s the only thing that will wound the enemy. Everything else is for protecting you. The sword puts the enemy to flight. How are you at memorizing scripture? Do you work on learning new passages daily or could you stand to take out the sword and practice with it? I’m over at LivingBy Grace today, on facebook! Come by and share with over 200 women your favorite scripture! I’m nearing the end of Donna Pyle’s Your Strong Suit Bible study. I’ve moved slowly, as I’ve pinged off her notes, scriptures and quotes. We’re talking strength on Wednesdays. So far, in the armor of God series, we’ve learned about truth, righteousness, and peace. Today is all about an item that doesn’t clothe us, but surrounds us. An item we have to pick up and carry with us into battle. “Faith makes us sure of what we hope for and gives us proof of what we cannot see. It was their faith that made our ancestors pleasing to God. It’s hard to believe in something you can’t see. Promises that have been spoken to the heart, but can’t be tangibly touched…yet. But when you experience Jesus…a taste even, a thousand eyes aren’t necessary to believe He is real. That is His power is mighty, His love overwhelming. That’s why the shield of faith is so important to carry. To remember to take up. The enemy lurks, waiting for our arms to get tired or for us to forget all together to raise the shield. A single arrow, tipped in fire can burn away at our faith, our trust in God and His goodness, His mercy, compassion. The outside of the shields were covered in leather and then soaked in water. The point? To quench fiery darts. We need to take up our shields, and daily soak them in the water of the Word. The fight is daily. The enemy does not tire. He’s prepared, in position, and ready to pounce. But we get tired don’t we? When God nudged me to write and began giving me promises, at first I believed! It was exciting as I wrote one story after another. Thirteen full manuscripts of hope. And as time wore on, I questioned God’s promises. I couldn’t see anything happening. Those are just a few of the burning arrows the enemy directed towards my innermost parts. During those times, God used His Word to confirm and encourage, helping me raise my shield of faith to fight off and extinguish the fiery darts of doubt and fear…the bright burning darts full of fiery lies. But I had to soak the shield. I had to prepare for the attacks. I had to do my part. Raising faith is raising up Jesus Christ to the enemy. Who can be against us, when Jesus is for us. When He covers us as a shield and deflects the darts. The Great I AM says, “Don’t lie to her.” And he covers us with His might. A shield of glory and beauty. It ended with Jesus publicly humiliating the enemy as He drug him around the streets in the dirt and ended with a Holy boot to his sick, sad, little neck. We were the joy. We are the joy. I remember a man who said to Jesus, “I believe! Help my unbelief.” (Mark 9:24)Did Jesus turn, disgusted? If I remember right, Jesus healed that man’s child. He’s compassionate. He understands we’re but flesh. We get tired. That’s why He insists we love those in His church. He begs unity. In the movie, Troy, a fight scene took place on the beach. Achilles’ army came together and locked their shields creating a huge force field protecting the soldiers. The shields were designed that way. Together, their shields could prevent injury more than one soldier and one shield. When our brothers and sisters in Christ feel shaky in their faith, that’s not the time for us to abandon them or judge them, using scripture to condemn rather to uplift. It’s time to lock our shield of faith into theirs and stand beside them. In unity. To help them fight. To believe with them and for them. Even Moses needed strength in battle, and his friends held his arms high. Have you ever had a friend help you in your faith battle? Ever helped out a friend? I’m hosting at Living By Grace today, over at Facebook! Come by and join in the discussion on faith. These Prada shoes cost $790.00 I know because I own them. Sort of. Okay, one of my characters in a novel does, but that’s kind of the same thing, right? I’m going to admit something. These shoes look so much prettier on than a pair of Roman Soldier cleat-like shoes. At first glance, and probably tenth, I’d choose these suede, sling-backs. There’s a phrase that shoes make the man. I believe this to be true. Shoes for day. Shoes for night. A couple years ago, I was walking “Jane” out to her car after a day of hanging out. I was barefoot. I’m not a barefoot kind of girl. Never have been. My sister could run on gravel, but I barely grazed a pebble and thought I might die. I should have stepped back. Instead, I took one more step and the pain that entered my foot and shot up my leg was insane. I hollered out and “Jane” helped me back inside. I made a baking soda paste like I remembered my mom had done when I was a kid and attempted to play in the sprinkler. The lesson I learned then was listen and obey when God spoke. I’d been going through a “Hear My Voice clearly” time in my life. Second stage: Obey. I’d failed and got stung. Lesson learned. She’s referring to the way Roman soldiers’ shoes were made. With spikes along the bottom, similar to a cleat. To dig into the ground, to balance. Special shoes even for war. Combat boots. Now, I’ll admit, the Prada shoes look prettier. I’m a fan of pink. But they wouldn’t hold up in war. In fact, most things the enemy entices us with are beautiful but in the end leave blisters on our flesh and aches and pains and cost more than we can afford. The gospel of peace goes under our feet. It’s our foundation. What is the gospel of peace? It’s the glad tidings of the salvation through Christ. It is good news! Preparation in the Greek is “hetoimasia” and it means: “the act of preparing; the condition of a person or thing so far forth as prepared, preparedness, readiness” When we’re about to head out, the last thing we do is put on our shoes. It signifies readiness. It shows we’re about to leave. I’ve said it a million times, “You have your shoes on? I’m ready to go.” It’s how I know if my kids are ready to walk out the door or are still lollygagging. We have to be ready with our spiritual shoes. The gospel of peace. Wherever we go, we’re walking on the foundation of Jesus Christ–His death, resurrection and the hope and peace of eternal life, that we can never be separated from His love, He never leaves or forsakes us. Peace that passes all understanding. It’s what defines us from everyone else who’s walking around barefoot. The world is a dangerous place. We have no choice but to walk it’s evil streets. But if we’re prepared and ready. If we’re wearing the right shoewear, we can walk with ease. It reminds me of the movie Die Hard. Bruce Willis is cleaning up in his wife’s office–wife-beater tank, a pair of pants and that’s it. At that moment, hell breaks loose in the business tower and he has to move quickly. Unprepared. The enemy looks down at the floor in one point. A shooting match had just taken place, and he notices blood on the floor. He realizes, Bruce is barefoot. He grins and shoots out the glass windows leaving Bruce no choice but to walk on broken glass. Bruce makes it to a bathroom where he picks shards out of his feet, the pain excruciating. He binds them with cloth, but that’s not enough. He wasn’t ready for the havoc that had been unleashed. But to survive, he had to fight unprepared. It came at a cost. It came with insurmountable pain. It came without sureness and peace. A scene or two later, he takes a pair of shoes from a dead guy and gets his hero on. Taking out the bad guys and winning. This doesn’t mean hand out tracts to homeless people, but let their stomachs continue to be empty. Nor does it mean stand on a corner and wave your Bible at prostitutes and remind them they’re going to hell. They’re already living in hell. In their minds, it can’t get much worse. It doesn’t mean shout at the drug-addicted that God can set them free, then shake the dust from your feet when they aren’t instantly delivered. When their lives are turned upside down, when your life is upside down– the shoes you wear convince them something about you is different. Bound to the soles of your feet. Rain or shine. Snow and sleet. Tornadoes and hurricanes raging. War and threats of war. In deceiving times. Through the wild jungles where the lion hunts his prey. Tell me, ladies, are you more of a pretty shoe or all about comfort? Guys, do you even care about what you put on your feet? I’m over at Living by Grace today! Come by! My kids are on Spring Break this week! We’re already packed, the kids have cleaned their rooms and made their beds–Myles’ isn’t perfect, but he’s 7. They’ve already made a list of the games they’ll play in the car since it’s a long drive to the beach. It’s going to be lovely and peaceful. Myles has figured out what kind of castle he plans to build, Bailey is more of a water girl, so she says she’ll spend most of the time jumping waves. The sea air, sand between our toes. We’ll have the family photo on the beach…. Needles scratching across the record…Now! ZZZZZZZZPPPPPP. We’re not going anywhere, and if my kids made their bed without being told, we’d definitely not spend Spring Break at the beach because we’d spend it in the ER, while they checked me out for possible cardiac arrest. But we have plans to do some fun things locally,and we love board games, so I see a few nights of Battleship (which I hate), Apples to Apples, and my favorite board game of all time…Clue. I rock that game. I’m sure we’ll bowl, dance, and hunt on the Wii. I’m really looking forward to the week. We’ll hit the zoo with their new dinosaur exhibit and camel rides. And we’ll probably spend a day at Incredible Pizza. Oh wait…my daughter has hit 13. Let me back up. This week, I’ll be chauffeuring her to and from Youth events, slumber parties, movies, and wondering why I let her leave the house when I see her room looks like an episode of Hoarders. And my son will hole up in his bedroom with his 3DS, until we hit the zoo and Incredible Pizza because he’s ticked I win all the Wii and board games. Life it tough. I never give the game away. He can work hard and win… or lose. Mostly he loses and pouts. I bet there’s a life lesson there. So that’s what our break will look like! And for the love do NOT google “spring break” because you won’t get family pictures. In a perfect world, this is what I’d like to be doing. And don’t judge me because my kids and hubby aren’t involved–they’re at slumber parties and holed up in bedrooms that smell like wet dogs and old milk and he’s at work. Do your family vacations or breaks ever turn out the way you dream them up? *I’ll probably be scarce this week since I’ll be lying in the grass reading i.e. dragging unhappy kids to exhibits they care nothing about…but I’ll try to pop in and say hi!